I came across this article about success in athletes and really enjoyed it. Two players, same training, same environment, similar skill level, but one athlete succeeds and another doesn’t? 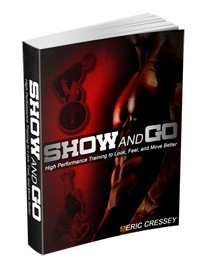 Eric Cressey has some ideas on this and shares them in his brand new “Show and Go” Training System.